Arkana’s exceptional team of highly-trained Shipibo Master Shamans represent an unbroken lineage of plant medicine work. With a combined history of over 70 years of experience working closely with Ayahuasca and other master plant teachers of the jungle, our compassionate healers lovingly share their teachings, healing songs (icaros), capabilities, and knowledge with integrity and honor. We strive to maintain the traditional practices passed down through thousands of years of indigenous Amazonian culture, in order to continue to promote the true purpose and nature of plant medicine work. Our Shamans are lovingly dedicated to the healing processes of our guests, and together, the symphony they create sets the stage for truly profound and deeply healing work. With over 40 years of experience Maestra Justina is undoubtedly one of the most gifted healers of our generation. A direct descendant of a long line of Merayas, the Shipibo's highest ranked Shamans, she is the heiress of all of their ancestral knowledge and carries their tradition proudly. She was born in the quaint community of Vencedor, in the banks of the Pisqui River in the upper Ucayali. From an early age she was very intuitive and in touch with her dreams and the world of the Chaikunis, ascended spirits who are the guardians of the jungle; she felt a special connection with all plants and trees. Yet it wasn’t until her teenage years, that she answered this calling committing herself to the world of plant medicines under the guidance of her uncle, who taught her the traditional ways of the old world Shipibo Onanyas (Healers). 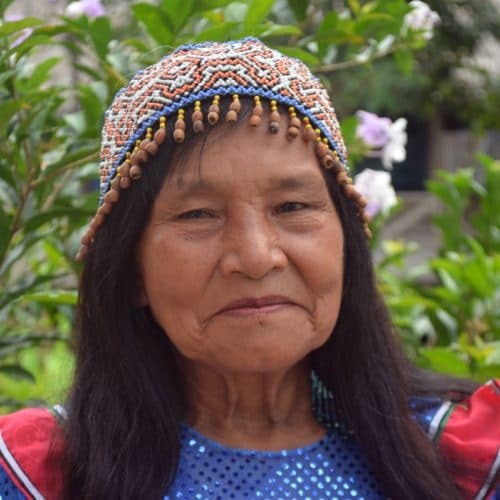 Her first plant dieta consisted of a two year stint with Camalonga, the master plant that equipped her with the knowledge to perform Shamanic Surgeries on patients; an extremely rare skill she practices every week at Arkana. In the following years, she continued expanding her medicine chest dieting a wealth of over 50 plants and trees while working as the healer in her community. As a true Amazonian Matriarch, Maestra Justina is a generous teacher, known for sharing her knowledge openly with all those that seek it, Shipibos and Westerners alike. She is also characterized by a motherly instinct that she uses to nurture and heal the sick with utmost care and compassion. Her powerful icaros are strong yet subtle enough to reach the heart of all our guests and provide real healing. We are honored and feel privileged to have her lead our team of Shamans at Arkana. She is the living embodiment of all true virtues of the quintessential jungle healer. Maestro Cesar, affectionately called Paparahua is Maestra Justina's husband and comes to us with a long and deep knowledge of the medicine, having worked with plants for over 50 years. A Shipibo shaman, Paparahua began working with the medicine at the age of 14. Now 66 years old and with a lifetime of diets and healing practice, he’s also become known as the shaman’s shaman. Coming from a lineage of Merayas, the Shipibo's highest ranked curanderos, it was his father that introduced him to becoming a healer and is where Cesar inherited his knowledge of the plants. His first plant diet was over a year long, and since, has done over 30 other plant diets on his Shamanic path. At 16 he began leading his own healing ceremonies, and is now with us to share his knowledge and warm spirit during your own healing process. Through his Icaros you’ll find a loving and powerful voice, and one of the purest examples of an old traditional Shaman. The Staff here at the center feel lucky and blessed to have Paparahua a part of our team. When not at the center, Cesar returns home to the village of Vencedor, to look after Arkana's Ayahuasca plantation. Maestro Misael is a native of the small fishing town of San Francisco de Yarinacocha on the banks of the Ucayali River, in the Peruvian Amazon. The town is famous in the region for its strong tradition of vegetalismo shamanism using the wealth of medicinal plants that grow in the surrounding area. Misael was born into a family of talented and dedicated healers. Since a very young age, Misael developed his love of plants and started developing his talents under the tutelage of his father Maestro Herminio. At 16, he concluded his first long term dieta, working with one of his favorite trees: Ayahuma; soon thereafter he met Maestra Justina and decided to apprentice under her in the town of Vencedor. He has now worked for over 15 years with the medicine, dieting a myriad of plants and trees. Maestro Misael is a warrior of light and works purely from his heart at the service of others. He is fully committed to walk the medicine path with integrity, and will go out of his way to make sure the people who come to Arkana are healed deeply on all levels. His intention is to serve all of humanity with humbleness. Maestra Wilma is from the village of Cunshamay, in the Peruvian Amazon. This is one day from Pucallpa by boat. She began her training as a Shipibo Onanya (Shaman) 12 years ago with her father, Maestro Francisco. She drank Ayahuasca with him then for her first time and directly started dieting and living one year of “pure medicine” - dedicating herself wholly to the plants. After dieting for one year with her father, Maestra Wilma began working alongside him as a curandera. She worked with Maestro Francisco in Pucallpa for a number of years guiding guests on their healing journeys and opening plant diets. She is happy to bring all her wealth of knowledge to Arkana. Eligio was born deep in the Peruvian jungle in the native community of Vencedor, a 24 hour boat ride from Pucallpa. The son of Maestra Justina and Maestro Cesar he comes from a pure lineage of Meraya Healers and is one of the most promising talents in the Amazon. He started working with the plants at the young age of 14, when he concluded his first Noma Rao dieta under the guidance of his mother. For the past 9 years he has continued honing his skills in the plant world working alongside his family in his community healing visitors from all over the world. 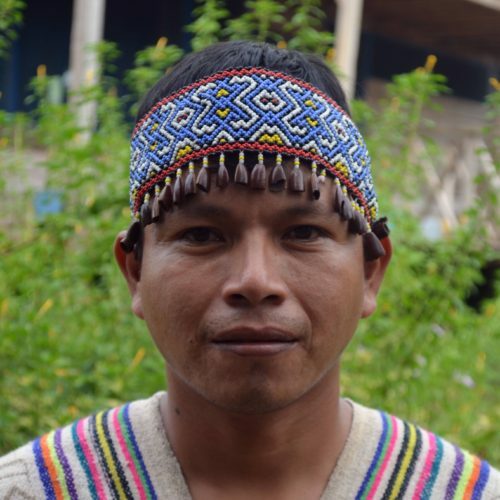 A father of 3 beautiful children, Eligio is proud to represent the new generation of Shipibo healers and strives to be a role model for other Shipibo youth. He is young in years yet carries the wisdom of his ancestors and brings an amazingly powerful youthful energy that delights all those he works with. Herminio was born into a family of Ayahuasca Shamans in the Shipibo village of San Francisco de Yarinacocha, a short drive from Pucallpa. His older brother, Maestro Misael, is his best friend and one of his role models. 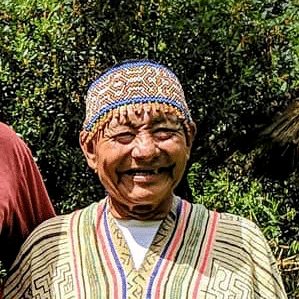 Growing up immersed in the world of Ayahuasca, Herminio observed his parents and the men and women of his extended family always working in healing ceremonies and guiding plant dietas. At the age of 16, his curiosity to learn more about this path inspired him to open his first plant dieta under the tutelage of Maestra Justina, and has been learning and dieting with different master plants ever since. His most recent diet was an 8-month diet where he worked with chaikuni rimu ininti also known as jungle lemongrass, the master plant of the Chaikunis. Despite his young age, Herminio is a healer of extraordinary talent and with a really sweet personal nature. His icaros can bring a sensation of pure happiness into your heart, and his dedication and empathy make you feel safe and allow you to easily open to receive his healing. He has an exceptional knowledge of plants and plant dieta healing.